Kumas » New Monkey Shoulder Cocktails! All Chicagoland Kuma’s present new cocktails featuring Monkey Shoulder today! Check out all the Kuma’s pages for their location specific cocktails! Kuma’s Corner, Kuma’s Corner West Loop, Kuma’s Too, & Kuma’s Corner Schaumburg . 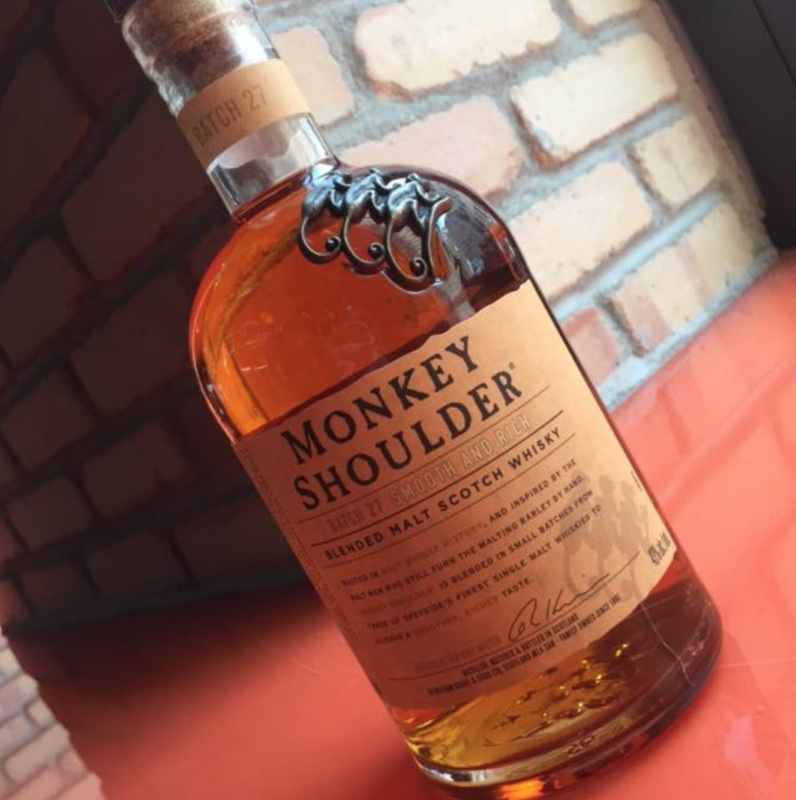 Monkey Shoulder is a triple blended scotch whiskey and is unique in that it is a blend of 100% single malt whiskeys. The three different Single Malts – Glenfiddich, Balvenie and Kininvie are blended and then matured in a ex-bourbon barrel, resulting in a Scotch that is smooth and mellow.